In keeping with such an iconic history, the Sterling Suite isn’t a hotel suite at all, of course. Not really. Mostly because such a moniker simply suggests more square footage, higher specifications and perhaps multiple bedrooms. In all senses, the Sterling Suite is so much more than that (although it certainly offers all of those things as well). More accurately, it is as close as a hotel can come to providing an at-home experience – the likes of which some guests book for as long as six months. Standing in the suite’s incredible drawing room, the hotel chain’s animated CEO Robert Warman introduces its design inspirations. 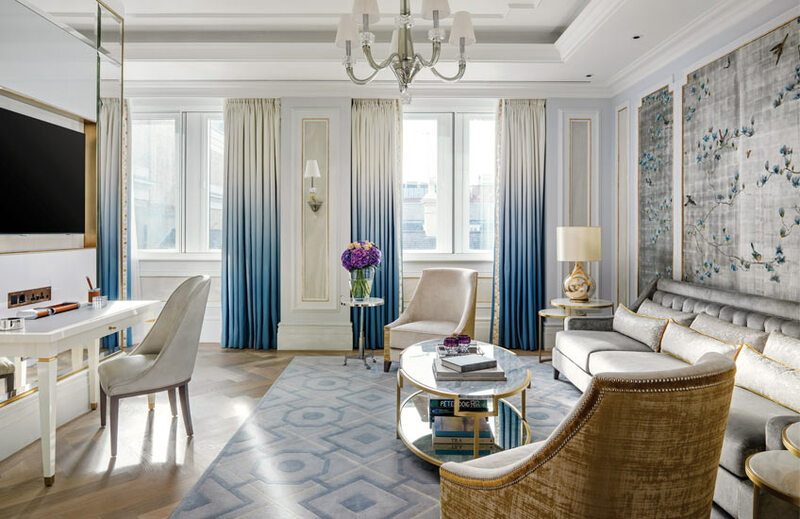 “It has a European heritage,” he explains of the delicate interiors created by Richmond International – the design team behind many of the Langham outposts including the Langham Chicago. 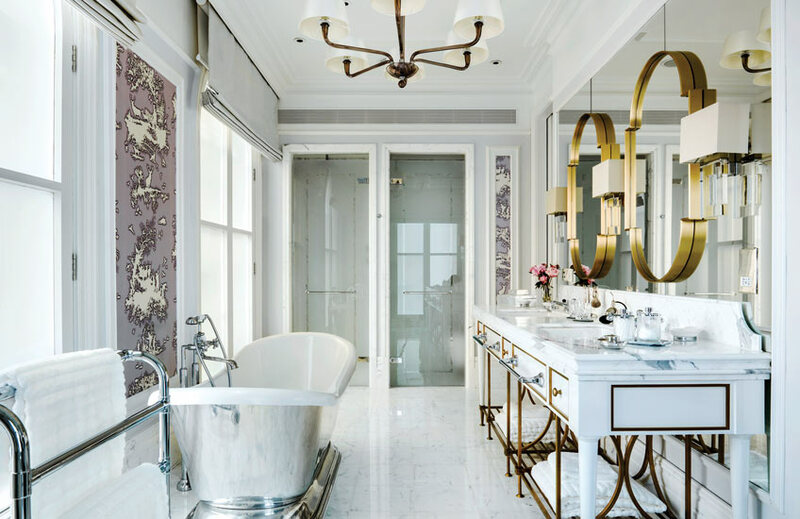 “Inspired by the sterling heritage of English pageantry and precious materials”, the suite is one room after another of heart fluttering moments, all singing together like the proverbial heavenly choir. Even the motifs are celestial – a literal halo suspended from an uplit soffit ceiling (another of the suite’s divinely inspired elements) welcomes guests from the hotel’s corridor. The private corridor leads through to the formal dining area which connects, via sliding doors, to the drawing room and informal sitting area. 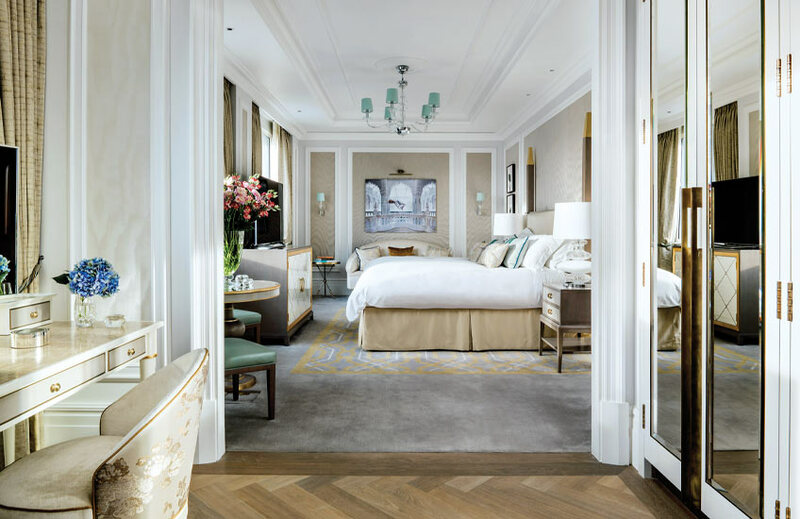 As light streams in the windows from Chandos Street, it illuminates the suite’s flawless bones – a perfect herringbone floor, recessed ceilings and classic millwork, accented with a palette of dove grey, stone and white. Even empty, the Sterling Suite would make an impact. But Richmond International – who also oversaw the refurbishment of the lounge, situated directly below the suite – had other plans. The team envisioned an environment which was clearly more apartment than suite – something which would be as special as it would be elegant. With most of the furniture and details custom-designed and made specially, the Sterling Suite lives up to its promise of offering guests an experience not to be found elsewhere. The drawing room is undoubtedly the ultimate triumph of the design – its location in the centre of the suite evidence of that. 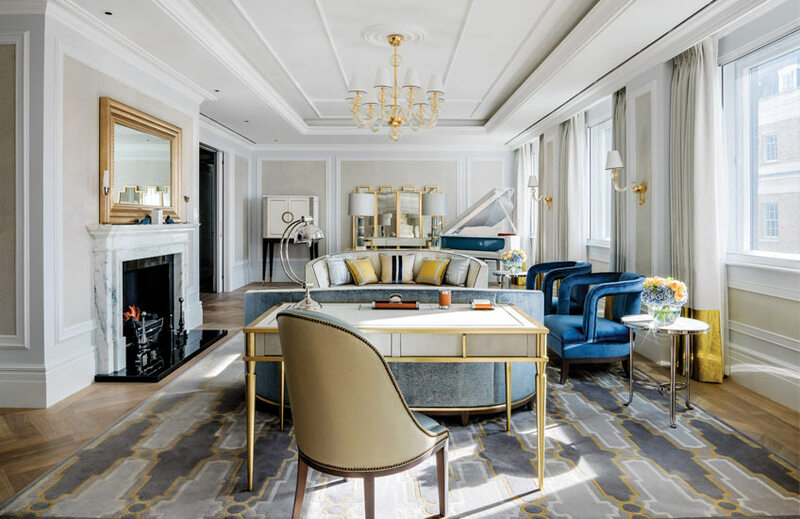 The pastel and azure blue tones of its curved sofas and open-arm accent chairs are matched with traditional and some less traditional golden touches. 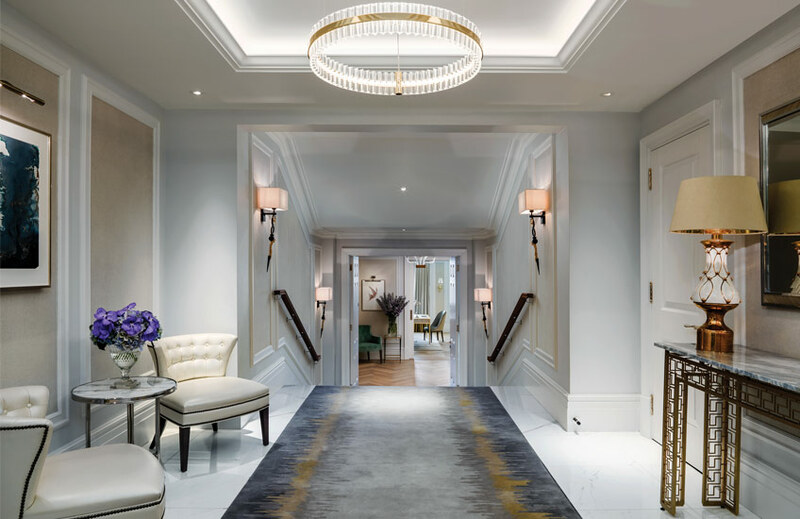 The floor-length goldenrod-hemmed curtains say contemporary whilst the gilded mirror and chandelier maintain the English heritage sought after by the Langham brand. 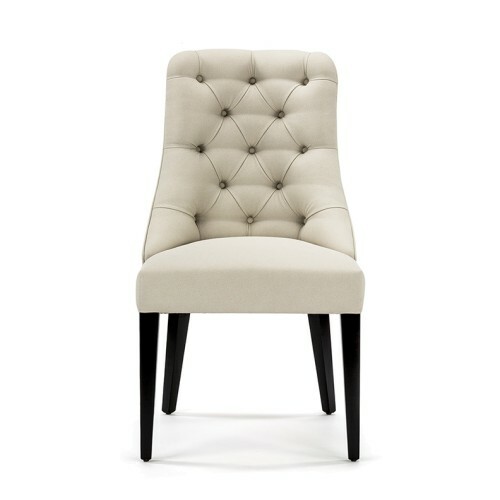 Pale shagreen finishes pair with white lacquered woods and, on the far side, a grand piano and bar cabinet which mark a return to opulent living. To the prospective guest, this isn’t a space to rest your head at night – this is a space to enjoy and live in. The fresh colour palette continues into the master bedroom where powdery ombre drapery and hand-painted, églomisé chinoiserie panels combine in a step towards tranquil Orientalism, inspired by the brand’s Far East leadership. The dropped arm chairs, deep button-tufted sofas and metallic furniture of the seating area offset the exotic elements for a look which is a perfect balance of east meets west – indeed a design interpretation of the brand’s modern identity. Separated only from this lounge area by a mirrored entertainment unit, the bedroom’s sleeping quarters echoes the look. 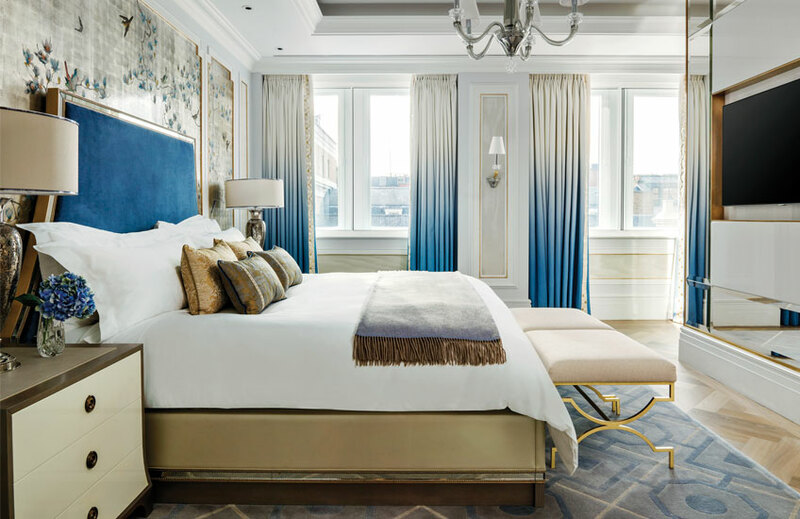 Anchored by the pop of cobalt blue of its tapered suede and mirrored headboard, the space incorporates a matching lattice rug, a pair of elegant metallic stools and fluted bedside chest of drawers. 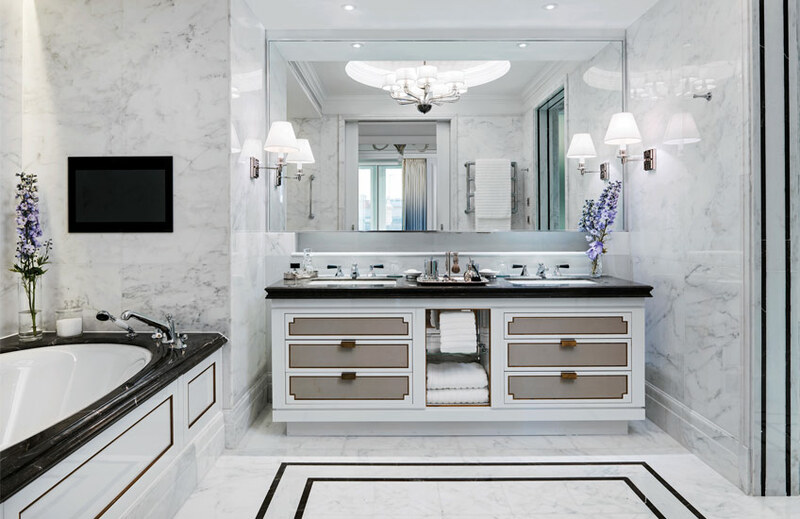 As well as its beautiful en-suite (complete with monochrome marble walls, bath and sink surrounds and flooring), the bedroom also connects to its very own hall of mirrors – a dressing room of mirrored wardrobes which culminates in a built-in vanity unit. 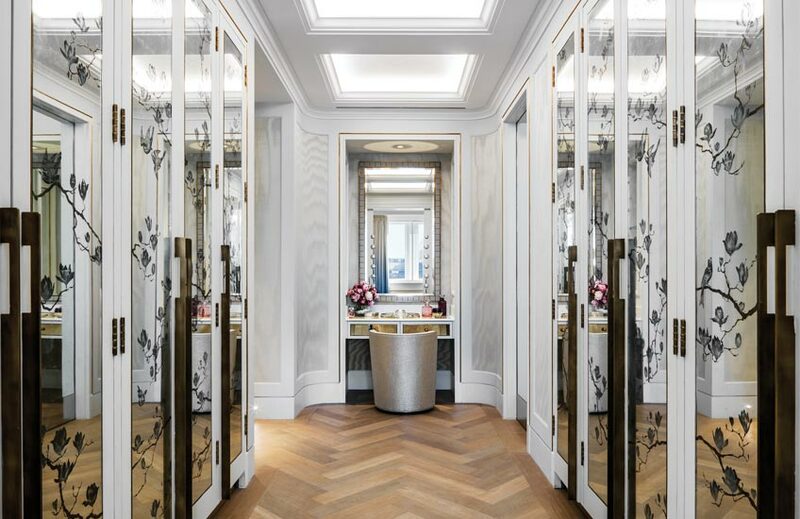 The mirrored doors are etched in the room’s Chinoiserie pattern with light playfully bouncing from surface to surface. All is delicacy and grace. The flow of the suite is owed, in part, to this airiness. Although installed throughout, sliding doors are virtually unused and the space takes on a semi-open-plan network of interconnected rooms, all subtly connected. These other rooms – a media room, multiple bedrooms and additional bathrooms – are equally incredible in their design, layout and finishes. Murano glass chandeliers by Barovier & Toso and Baroncelli hang from the ceilings; in excess of 60 fabrics from Rubelli, Dedar, Pierre Frey and Townsend are incorporated into the design; and modern artwork from Tim Walker, Peter Clack, Charming Baker and Norman Parkinson is exhibited. 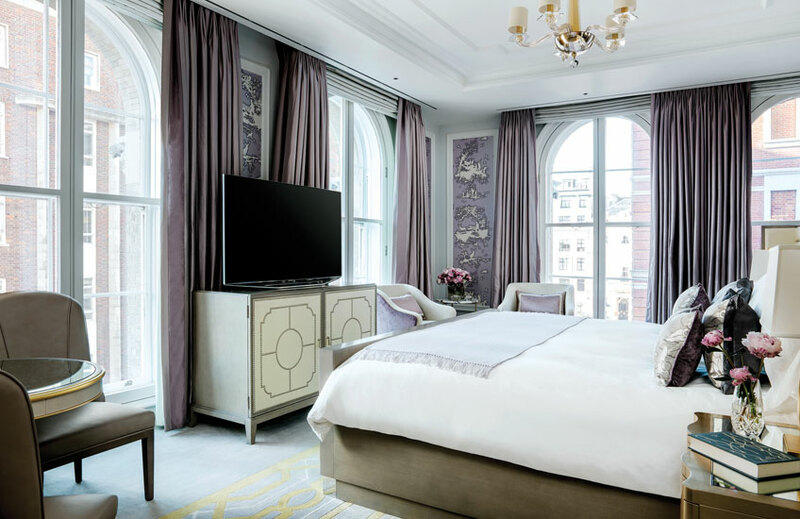 The guest bedrooms showcase palettes which include mint green and lilac and hold their own against the master bedroom with impeccably detailed furniture (again, leaning towards the softer end of the colour spectrum), delicate wallpapers and traditional bathroom vanities. Each space is thoroughly thought out to the nth degree. And what is both mind-blowing and arguably unnecessary (because there seems little reason for it), Robert mentions that the suite is largely customisable for individual needs. “We do a lot of customisation for people to stay here,” says Robert which he explains can’t be done so readily in guest rooms before going on to mention a particular toilet change incident for a past guest. 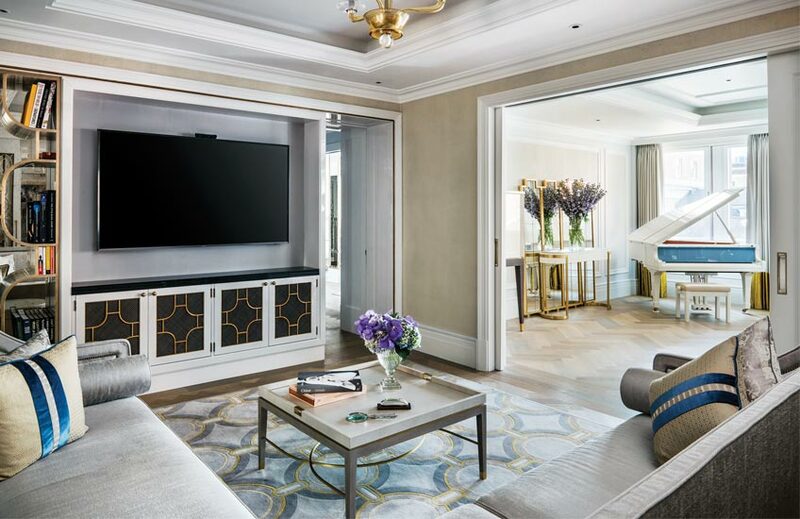 Everything about this suite and everything done by the Langham brand seems to be in pursuit of making the customer, the loyal guest, the resident more than happy. “Our parent company has a vested interest to make sure that the Langham brand stays relevant,” Robert mentions of the amicable relationships the brand enjoys from hotel employee to CEO and beyond. These relationships make it easy for him and his team to continue to offer those special moments for customers, making them return again and again. The Sterling Suite is certainly a special place. A personal heaven in the midst of one of the city’s busiest spots, where beautiful design meets thoughtful service and the most enjoyable hotel experience to be had.